The past few weeks have been filled with stress. Can you relate? I’m not talking about getting the lawn mowed and the kids to practice. I’m not talking about piles of laundry and getting your bangs trimmed. I’m talking….gut wrenching, life-changing, detail-filled moments, that lead into more moments, just like it. The past few weeks have been difficult, and have taught me some things about life and myself that I didn’t really fully understand up until now. But for this morning, I want to share what I know. My girlfriend called to check in on how I was feeling, knowing that last week we sent my child off to Paris to get married, and this week we moved her to another town and planned her wedding reception. 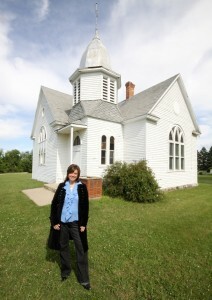 Wedged into free moments, we met with radio, newspaper and tv about the 1900’s church that we purchased for BLM main headquarters. As we answered many phone calls regarding the move, coordinating movers, plumbers and electricians, I felt overwhelmed. When we weren’t doing that, I was working with our graphics designer to edit our upcoming magazine. I’m sure my blood pressure was off the charts! I felt many emotions. I felt sad over the changes of my little baby (now 23) leaving the nest, and the fact that our lives are always tied to the emotions of the broken family that we live in (from my prior divorce). I felt emotional, as we discovered the beautiful history of the little church we bought, and tired from all the decision-making, details and planning. Emotions included: sad, fatigue, frayed, tired, disgust, anger, disappointment, loneliness, bitterness, resentment, and a heavy feeling of being overwhelmed. I know human life….and so you have experienced these emotions as well. Perhaps you’re experiencing them right now. When we are frayed, at the very edges of the material of who we are, we are faced with a couple of choices. Do we operate out of those raw emotions? Do we pay back people with unkind words? Or snap at the checkout person because they weren’t fast enough loading up the groceries? Do we pour out and release every thought, word, and emotion attacking others around us? Or do we use the filters that God has created within us…. The filters that stand at the door of our mouths and our minds? Scripture tells us that “out of the overflow of a man’s heart, the mouth speaks.” (Luke 6:45) Whatever is in that heart must come out. And so we deal with the emotions that begin in the heart. If you read Psalms, and journey through King David’s life, he tends to be very emotional. It’s part of the fabric of who he is. If we look at Moses, he tends to be moody…wondering how will the Israelites believe him, how will he convince King Pharoah, how can they escape…he even breaks the tablets and murders a man, acting out of his anger. Acting out of emotions is stupid. It’s just plain the worst decision we can make. Why? Because we can’t take back our words. We can’t reverse that letter we mailed, phone call we placed, or words and actions that hurt those around us. You can’t undo it….you can only …NOT DO IT. I am working on not operating out of emotions. It’s a life-long pattern that I am trying to change. And as a leader, it’s imperative that I am operating out of the Spirit…not out of myself. Just take some steps back…I tell myself..and wait until the storm passes. Then think clearly and take steps. People, including myself, look really ungodly when they operate out of emotions. It’s one thing to be sad, it’s another thing to make big life-changing decisions out of how we feel today. Sin is really ugly and we can’t take it back. Sure, we can say we’re sorry…but the damage is done. The fruits of the Spirit, listed in our scripture above, reveal if the Spirit of God is active in your life. Self control is the last one listed and I believe wraps around all the other fruits. I feel frayed and ragged around the edges. And the pressures and decisions are still coming at me. But here’s what I know…when I feel like that…. I need to step up and really operate out of God’s Spirit…not the emotions. I retreat back into the corner of my home, into my big green chair. I spend time in prayer. I spend time in God’s word. And I spend time. Because time is what will separate me from the emotions. This week, think about what’s in your heart. Deal with it right there. Because emotions can trigger what you have stored up…and believe me…it will come out. I’m working on operating from the fruits…not the emotions. Kathy, I can relate. So many times I don’t practice stepping back. There have been way too many times that I have spouted off in anger or frustration instead. Thank you for the reminder! I am so excited to follow the move of the church and pray that all goes well. We all struggle with emotions!! Thanks for sharing! It helps to know we are not alone in the battle! !Good reminder to trust God and not our emotions! !